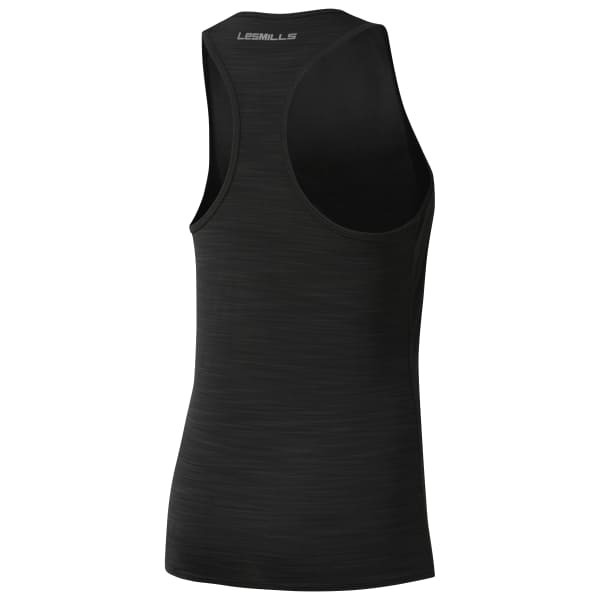 A one-two punch of cooling power, this UV 50+ LES MILLS tank features both Speedwick moisture management and ACTIVCHILL mesh-zoned back for maximum ventilation. The modern racerback silhouette features a slightly elevated neckline and shaped hem for on-trend appeal. The clean-lined LES MILLS graphic treatment makes a minimalist statement.